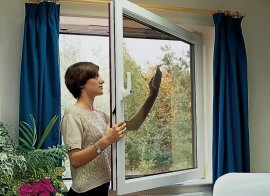 At Allstyle we will save you more than just energy on your double glazing, we are proud to offer you one of the highest grades of A- rated windows in the country (be careful, not all ‘A’ ratings are the same – check the energy index rating number). Here at Allstyle we have achieved an energy index rating of 9. 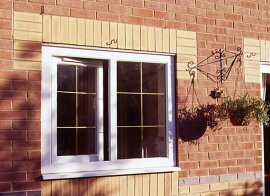 Whilst making your home energy efficient you will save on your fuel bills and reduce your carbon footprint. 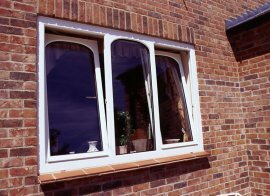 The very distinctive style and flair of a continental window, offering a chic appearance and combining ventilation with excellent security. 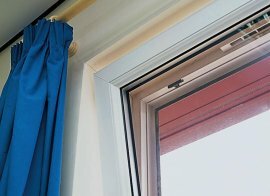 Long a favourite in Europe, you can swing it wide like a door, or tilt the top of the sash into your room for overhead ventilation. 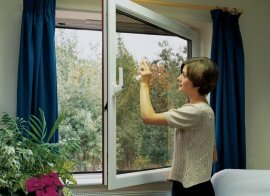 Tilt and turn windows offer the easy cleaning facility of being inward opening, allowing both sides of the glass to be cleaned from inside your property.